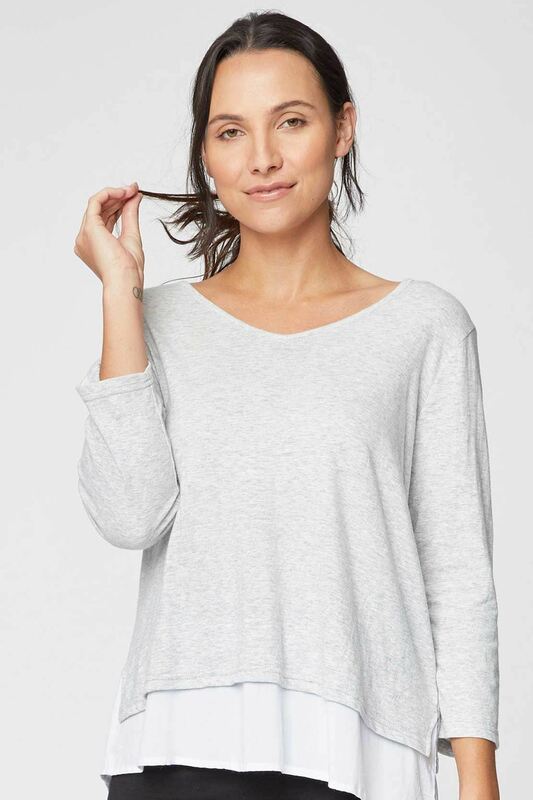 In a luxe, 100% organic cotton fabric, this relaxed fitting top is super soft, breathable and kind on your skin. It features a V-neck, 3/4 length sleeves and a cotton voile trim detail. In a luxe, 100% organic cotton fabric, this relaxed fitting top is super soft, breathable and kind on your skin. It features a V-neck, 3/4 length sleeves and a cotton voile trim detail. Wear this feminine top with your favourite jeans or over Thought's bamboo leggings for a relaxed weekend style.